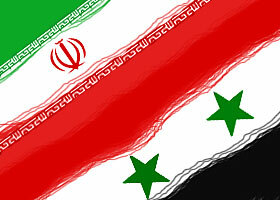 A senior Iranian air force commander says Iran is prepared to defend Syria’s airspace if Damascus calls for it. Brigadier General Farzad Esmaili, the commander of Iran’s Khatam al-Anbiya Air Defense Base, made the remarks during an interview with the Tasnim news agency on Sunday. The remarks were made in the wake of reports that Turkey and Saudi Arabia were preparing to launch joint military operations on Syrian soil. Instead of contemplating a ground presence in Syria, Esmaili noted, Riyadh should consider stopping atrocities in Yemen where over 8,200 people have been killed and some 16,000 more injured since March 26, 2015. Meanwhile, Saudi Arabia has confirmed deployment of warplanes to the Incirlik Air Base in southern Turkey, claiming that the move was in line with the so-called fight against Daesh. Saudi Foreign Minister Adel al-Jubeir has also stated that any decision for the deployment of forces to Syria would follow the will of the US-led coalition. Saudi Arabia and Turkey are widely believed to be among major sponsors of terrorist groups operating against the government of Syrian President Bashar al-Assad.